HOUSTON – Houston home sales rose in October as the Houston residential market churned through the aftermath of Hurricane Harvey and recovered from the 50 inches of rain it dumped on the city. The Houston Association of Realtors reported 6,381 single-family homes were sold in October, up 7.5 percent from the 5,934 homes sold in October 2016. Sales remain on a pace to make 2017 set the record as the strongest year ever for home sales in Houston. Year-to-date sales are up almost 3 percent over the 2016 pace. “The overall Houston real estate market wasted little time recovering from Hurricane Harvey’s devastation, but we’d like to see supply grow to meet ongoing consumer demand for housing,” said HAR Chair Cindy Hamann with Berkshire Hathaway Home Services Anderson Properties. A tight inventory is a critical issue almost everywhere across the nation. 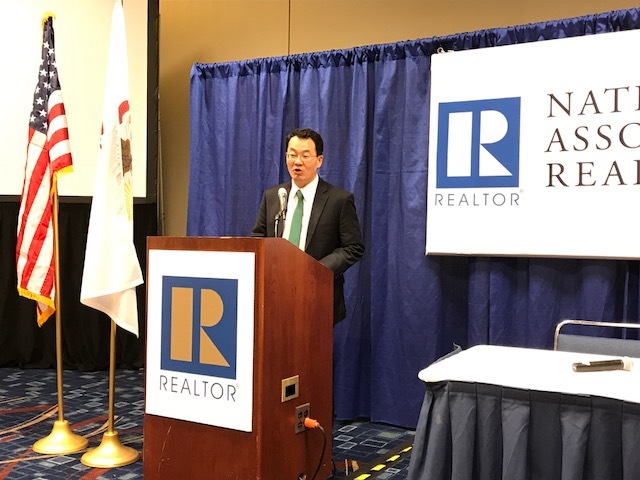 Speaking at the NAR convention in Chicago last week, Yun said the tight supply of homes puts upward pressure on home prices. In October, Houston had a 3.9 months supply of homes for sale. A balanced market is considered a 6 months supply. Houston’s single-family median home price was $226,941 in October, up 3.9 percent over $218, 040 in October of last year. Leasing activity continued to be strong as Houstonians were forced to find rental homes while their homes were being repaired from the storm.